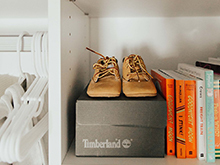 With a chic, yet laid-back Bohemian style, Alicia Lund inspires readers of her blog, Cheetah is the New Black, with her approach to fashion, travel, entertaining and home. 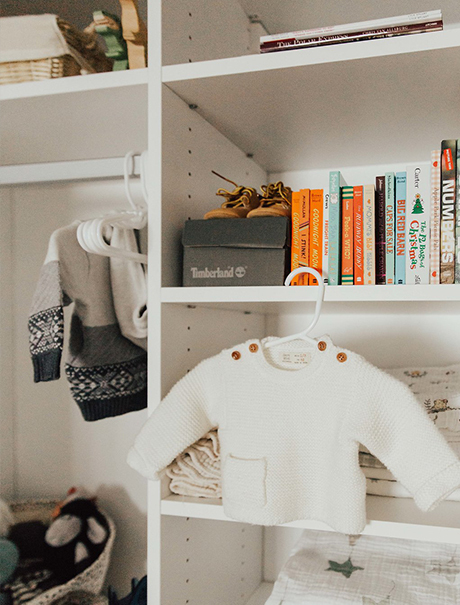 Authentic about the looks she loves, she naturally gravitated to a mix of warm woods, plush Moroccan rugs and a modest touch of whimsy for her son Rex’s nursery. 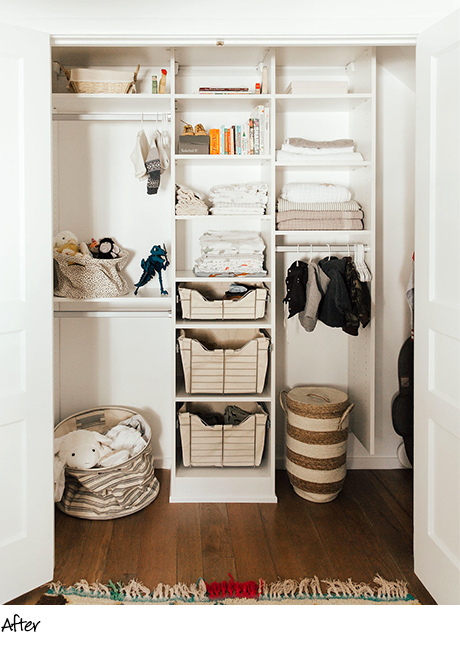 Alicia collaborated with California Closets Sacramento design consultant Katy Milton to optimize the existing closet in the guest room-turned-nursery so that Alicia could easily store her son’s clothes, as well as display favorite toys and sentimental keepsakes. Older homes often come with equal parts timeless charm and existing design challenges and in this case, there was a door to the attic on the far right of the nursery closet. Katy worked closely with Alicia to assess all of her specific storage and organizational needs. 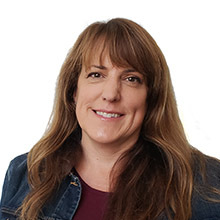 Taking all of the information into account, Katy was able to come up with a custom design that not only offered improved function and aesthetic appeal, but also still allowed for access to the attic door. Katy also added space to accommodate Alicia’s extra clothing and accessories if needed. 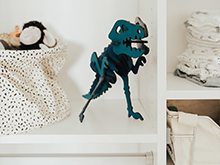 baby Rex's closet both creative and fun. 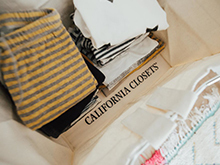 Working with California Closets was such a wonderful and easy process. 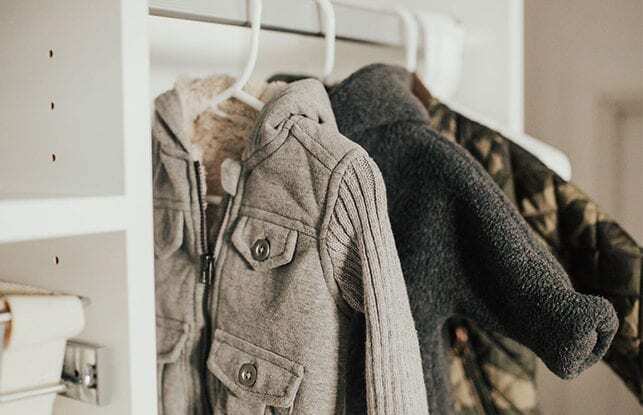 They did such a great job listening to our needs and maximizing the closet space, creating a system that functions much better for a child's closet. I'm anxious to get started on additional closets in our house now! 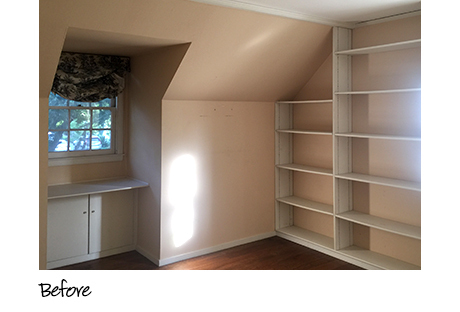 The final nursery design is full of character and family heirlooms that make the room feel special. 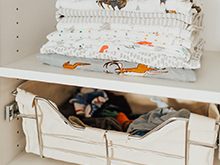 Similar to the décor, the closet was cleverly designed to be transitional to grow with baby Rex as he grows and his storage needs change.